A.T. 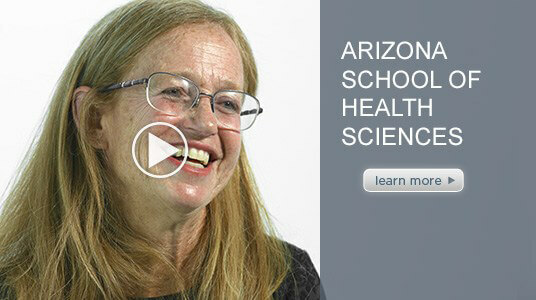 Still University’s Arizona School of Health Sciences (ATSU-ASHS) is an innovative, comprehensive school dedicated to educating and graduating health professionals committed to providing high quality compassionate health care to communities where the need is greatest. ATSU-ASHS offers residential programs in athletic training (MS), audiology (AuD) , occupational therapy (MS), occupational therapy entry-level (DOT), physical therapy (DPT) and physician assistant studies (MS). Online programs are offered in athletic training (DAT), audiology (AuD), occupational therapy (OTD), occupational therapy (MS), physician assistant studies (MS), physical therapy (DPT), physical therapy (non-degree) and medical science (DMS). Residency programs in neurologic physical therapy and orthopedic physical therapy are available, and graduate certificates are also offered, including a Graduate Certificate in Orthopedic Rehabilitation and the Graduate Certificate in Clinical Decision-Making in Athletic Training. These master’s and doctoral degree programs are taught by an elite faculty and include a curriculum that integrates healthcare education with state-of-the-art methods and hands-on experience. Online students not only have the flexibility they need to accommodate busy work and family schedules, but also opportunities to gain real-world clinical experience in their hometowns or other areas of the country. They also participate in the ASHS Lifetime Learning Program. 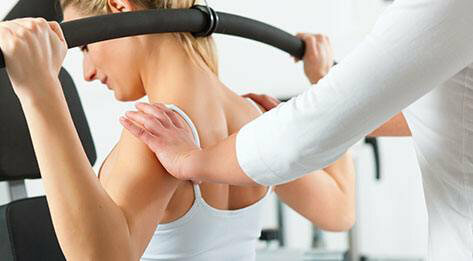 Since founding osteopathic medicine in 1892, A.T. 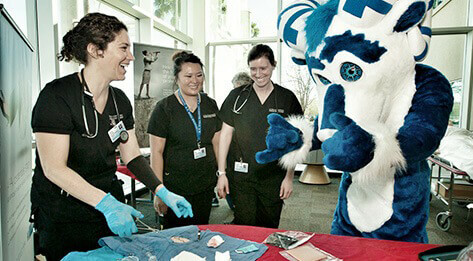 Still University has led the way in educating compassionate healthcare professionals and advancing whole person healthcare. 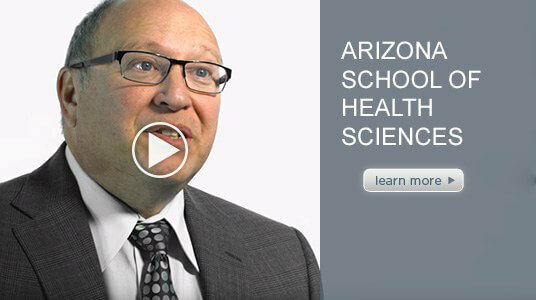 The Arizona School of Health Sciences is committed to preparing its students to practice at the forefront of a dynamic healthcare system and offer innovative solutions to the nation’s healthcare challenges. 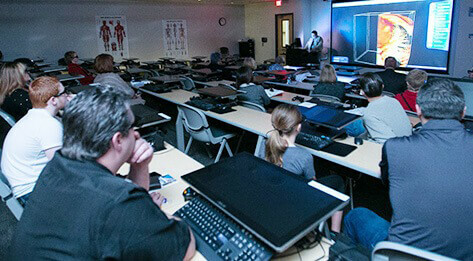 ATSU-ASHS integrates technology with classroom and practical education. ASHS features wireless internet, allowing students to access educational materials or communicate with faculty, administration, and staff via email. 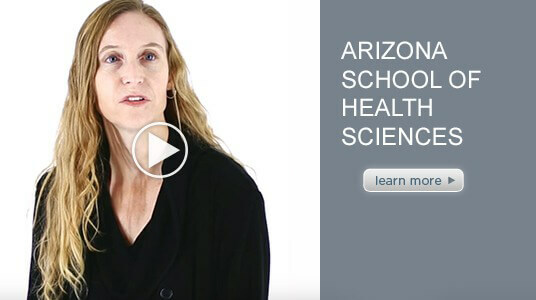 Because the school is a member of the Arizona Health Information Network (AZHIN) and other research orientated databases, students are able to explore library resources from one convenient location. By learning to retrieve information and take advantage of various software programs, students are able to provide healthcare that meets the demands of the 21st Century. This philosophy complements the personal attention and expertise provided by faculty. To ensure each student has a thorough understanding of required material, faculty use a variety of teaching techniques, incorporating technology and hands-on experience. Whether it is through office visits, additional reference materials, tutoring programs, or review sessions, students have diverse support systems to make the most of their education. Many full-time faculty at ASHS are actively practicing in their respective fields and/or participating in state and national associations. Each faculty member is committed to teaching students the most current techniques and principles. Admissions staff is here to guide you through the process of applying to ASHS - a cutting edge professional school offering residential and distance education programs in audiology, occupational therapy, physical therapy, physician assistant studies, and athletic training. ASHS emphasizes a team approach to healthcare, as well as integrating technology with classroom and practical education. Graduates appreciate the school’s track record of 100 percent job placement and have become healthcare professionals and leaders throughout the United States and abroad. Join us today! The following guidelines will be followed in reviewing international students for admission to the Arizona School of Health Sciences. 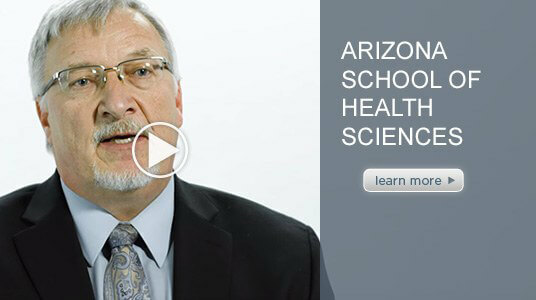 International students applying for admission to the Arizona School of Health Sciences must meet all general requirements for admission as stated in admissions publications. Applicants must provide proof of permanent U.S. residency status or qualify as an international applicant. International applicants must possess a student visa issued by the United States government and provide proof of English proficiency. International student visa status must be valid for the duration of the respective curriculum. 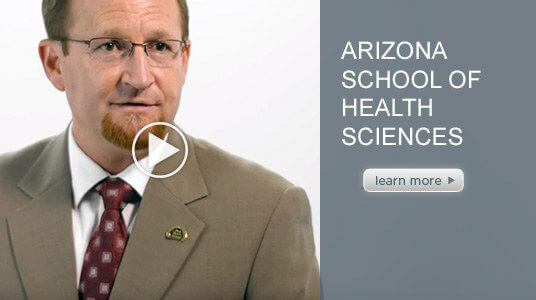 All students are required to demonstrate proficiency in English when applying to the Arizona School of Health Sciences, A.T Still University. *Please note. TOEFL subscore minimums may be required by some programs. Please refer to the individual program website or catalog page to determine if subscores are required. The TOEFL is administered by TOEFL/TSE Services, PO Box 6151, Princeton, NJ, 08541-6151, USA (609) 771-7100. Information is available on the Internet at www.toefl.org. A.T Still University’s institutional code is 0339. Please be sure to include this information when you submit your application packet. Credit for advanced standing will not be given for any work completed in foreign graduate or medical schools. All students must apply for first year status. International students must have permanent residency status (green card) to be eligible to receive any type of financial assistance through the college loan programs. Post Professional of Doctor of Physical Therapy: international applicants must possess a valid U.S. license as a physical therapist to apply to the Post Professional Doctor of Physical Therapy program. Post-Professional Doctor of Audiology: international applicants are eligible to apply but must show proof of certification or a license to practice audiology that is equivalent to licensure in the United States. Physician Assistant Program: starting with the Class of 2017, no degree equivalency or pre-requisite coursework equivalency will be accepted. Cannot attend? Watch live: live.atsu.edu; the program will begin broadcasting at the time listed above. Graduate: Navigate to your Graduate Resource guide. (This requires you log in with your official ATSU credentials). Faculty: please check your portal (my.atsu.edu) for your graduation information. As you move through life and make a name for yourself, you are making a name for ASHS, as well. No matter where you are, Alumni Relations is here to keep you connected with the School. It is the goal of Alumni Relations to inform and involve you with the School and alumni activities. We encourage you to send to us your comments and/or suggestions about the information contained in these pages. The site is continually being updated, so please come back and visit often to stay informed about events, programs, and other information. If you have questions or need assistance, please contact Alumni Relations. ATSU-ASHS takes pride in its family atmosphere where small class sizes foster one-on-one relationships between faculty and students. Faculty and staff take a personal approach by focusing on the individual needs of each student and his or her family. The school strives to provide a friendly, state-of-the-art learning environment for students, a supportive, guiding hand for alumni, and compassionate outreach to the community. Located in Mesa, Arizona, ATSU-ASHS’ residential students find a vibrant and dynamic urban lifestyle as part of the greater Phoenix metropolitan area. Also known as the Valley of the Sun—which enjoys more than 300 days of sun each year, the area offers major league football, baseball, hockey, and basketball, two national parks, 25 state parks, and 100 miles of trails for hiking, biking, and horseback riding. The symphony, opera, art festivals, museums, and restaurants provide a diverse night life. The most advanced, evidenced-based strategies available provide students with the knowledge that enhances care, optimizes outcomes and improves overall health. Students develop an integrated understanding of clinical experience, patient values and best available evidence for superior decision making. Students also learn to employ clinician-based and patient-based clinical outcome measures to clearly determine the effectiveness of athletic training services. Learning experiences enhance the student’s professional growth as athletic training clinicians, educators, researchers, and administrators. Educators are prepared with the advanced graduate training they’ll need to effectively teach their own students to succeed as athletic trainers. 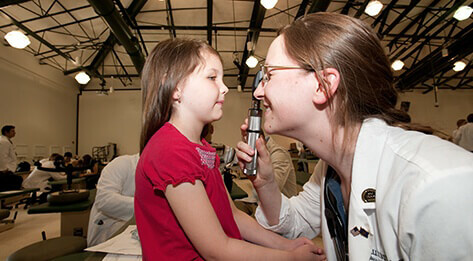 ATSU-ASHS’ audiology programs prepare professionals to become skilled in a wide variety of diagnostic, rehabilitative, and related areas of the profession and practice of audiology. 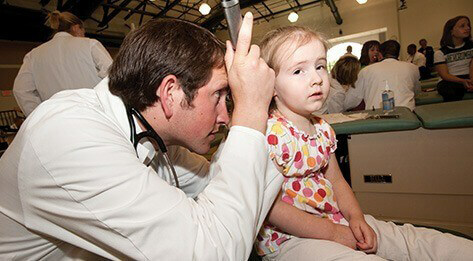 The audiology curriculums incorporate basic science education with clinical education through a combination of on-campus classes, clinical rotations, and computer-based education. Graduates will be prepared to handle the extensive scope of audiologic care, including the diagnosis and management of auditory and/or vestibular system deficits for all ages, tinnitus management, hearing conservation, and neuro-audiologic examination, as well as the management and business aspects of audiology. ATSU-ASHS’ master’s and doctoral programs in occupational therapy prepare highly competent, entry-level occupational therapy practitioners who are committed to holistic, client-centered, and science-informed practice. These practitioners value health equity, diversity, team-based healthcare, and community-based practice designed to enhance the life participation and social inclusion of individuals, families, groups, and vulnerable populations across the lifespan. The curriculum is designed to engage students in occupation-based practice to support health and well-being for individuals and diverse populations. Faculty and students work collaboratively on endeavors that include community service and dissemination of scholarly projects. The doctoral degree differs from the master’s by building upon entry-level practice competencies through advanced training in social determinants of health, innovative occupation-based program development, practice-based evidence, leadership, and advocacy to improve systems and policy that promote health and occupational equity for individuals, community, and population. Because of their close working relationship with physicians, physician assistants are educated in the medical model designed to complement physician training. Students in ATSU-ASHS’ intensive master’s and advanced master’s physician assistant studies programs develop proficiencies in many areas: taking medical histories and performing physical examinations, ordering and interpreting lab tests, prescribing medications, assisting in surgery and counseling patients. Faculty and staff work closely with students, helping them develop professional attributes and clinical problem-solving skills necessary for efficient and optimal patient care. Upon graduation, physician assistants take a national certification examination developed by the National Commission on Certification of Physician Assistants (NCCPA). ATSU-ASHS’ doctorate, post-professional, and specialized residency physical therapy programs educate highly competent and professional physical therapists who work to restore movement and function through direct treatment, education, consultation, and management of rehabilitation resources. Graduates are dedicated to clinical excellence, leadership, and whole person health care to help patients achieve optimal health. A rigorous learner-centered curriculum emphasizes a hands-on approach to patient/client management and incorporates critical inquiry, cultural competence, service-learning, and inter-professional collaboration. Graduates will achieve competency in the diagnosis of, intervention for, and prevention of impairments, activity limitations, and participation restrictions related to movement, function, and health. ATSU-ASHS’ goal on diversity is to foster an atmosphere of awareness and acceptance that embraces diverse backgrounds, philosophies, and lifestyles, including under-represented groups. Diversity encompasses race, ethnicity, gender, marital status, age, sexual orientation, veteral status, national origin, disability (physical, cognitive, psycho-social), religious affiliation or socio-economic status (income, parent’s education level or occupation). ASHS will create and support a campus community that educates healthcare professionals who value and appreciate the importance of and have a unique perspective and outlook on diversity. We will seek to improve the quality of life of our faculty, staff, and students by developing and implementing policies and programs that support the ASHS philosophy on diversity. We hope to help our students learn about the different cultures in society, understand that diversity, and actively seek to work with clients from varied cultures and backgrounds. We believe that this diversity-rich experience at ASHS will add value to our campus community. ATSU-ASHS online students not only have the flexibility they need to accommodate busy work and family schedules, but also opportunities to gain real-world clinical experience in their hometowns or other areas of the country. They also participate in the ASHS Lifetime Learning Program. 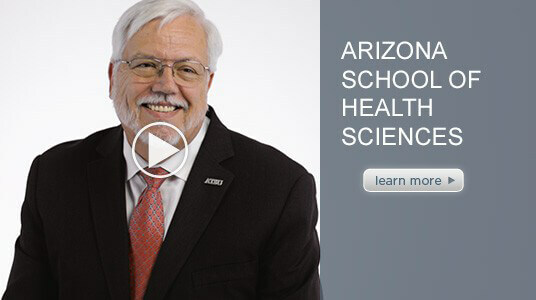 ATSU-ASHS online programs include master’s and doctoral level post-professional degrees, as well as residency, certificate and continuing education offerings. Health sciences disciplines include athletic training, audiology, occupational therapy, physical therapy and physician assistant. ATSU-ASHS offers a variety of accredited residential master’s and doctoral programs which combine comprehensive didactic education with practical experience to develop interpersonal skills, knowledge, and practical application. ATSU-ASHS residential programs include master’s and doctoral degrees in the disciplines of athletic training, audiology, occupational therapy, physical therapy and physician assistant. Continuing education courses in these health sciences disciplines are also available to improve professional knowledge and skills. ATSU’s mission to carry on its osteopathic heritage and focus on whole person healthcare is profoundly complemented by ATSU-ASHS as it prepares highly competent professionals through innovative academic programs, scholarship, and interprofessional education with a fervent commitment to diversity, community health and underserved populations. ATSU-ASHS supports its students with a focus on compassion, integrity, innovation, and collaboration. We invite you to explore our comprehensive information available here and contact our staff and faculty for additional details regarding prerequisites, requirements, curriculum, applications, tuition and fees or financial services. 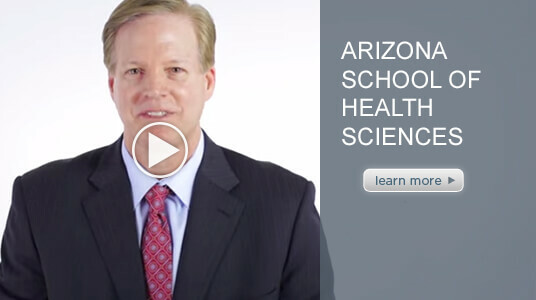 The mission of the Arizona School of Health Sciences (ASHS) Alumni Chapter is to support ASHS and ATSU and to encourage beneficial relationships with ASHS, ATSU, and its alumni. Financial Support – To help raise funds for ASHS. 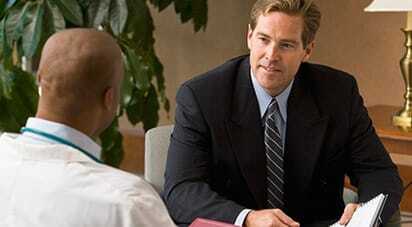 Recruitment Support – To assist ATSU Admissions Office in the recruitment and mentoring of prospective students. This would include participation in the Alumni Ambassador Program. Activity Support – To provide support for ATSU sponsored regional events, national and state meetings, ATSU campus events, and alumni reunions. Volunteer Efforts – Participate with ATSU annual campaigns, volunteer work, and provide contacts/resources for cultivation of donors and friends for ATSU. The ASHS Alumni Chapter will serve as the voice of alumni as it reports on activities and initiatives of each alumni chapter to the ATSU Alumni Association. 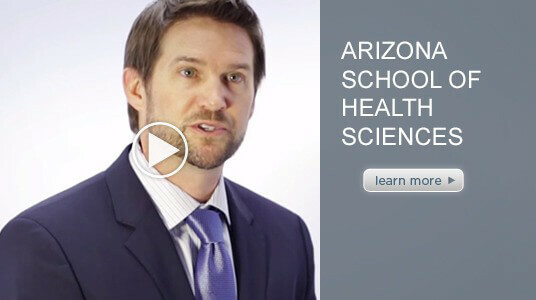 The name of this organization is Arizona School of Health Sciences (ASHS) Alumni Chapter, herein referred to as the “ASHS Alumni Chapter”. Membership in this Chapter shall consist of all graduates of ASHS and other persons who meet the requirements as prescribed by the Bylaws of the ATSU Alumni Association and the ASHS Alumni Chapter. Each graduate will be awarded membership in the ATSU Alumni Association and the ASHS Alumni Chapter. Honorary Membership in the Alumni Chapter may be conferred by specific action of the Chapter Board of Directors upon persons who have rendered meritorious service to ASHS, the Alumni Chapter, and/or health sciences. An honorary member shall not hold elective office or be a voting member of the Alumni Chapter. On site meeting expenditures will be coordinated by the ATSU Alumni Affairs Office. It is the responsibility of the ASHS Alumni Chapter Board Members to pay for expenses, including travel, overnight accommodations, and meals. 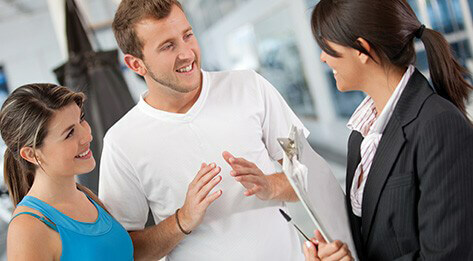 These expenses can be credited to the member’s gift income record at the University. This gift is in addition to any pledge of support the member might have with ATSU. The Board of Directors of the Alumni Chapter shall consist of 2 representatives from each program within the college (PA, PT, AUD, AT, OT), for a total of 10 representatives. The term of membership shall be for two years, with no more than two terms consecutively. The terms begin on at the first meeting in the fall and expire at the Spring meeting of the second year. Vacancies in elective offices shall be filled for the unexpired portion of the term by appointment by the chair, subject to the approval of the Board of Directors. Officers will consist of the Chair and Vice Chair. Officers shall be elected to a one year term. At the end of their term, officers may extend their term another year at the request of the ASHS Alumni Chapter. Election of officers will take place at the fall meeting and officers will start their term at the end of that meeting. The elections will take place via email, regular mail or cast ballot and coordinated by the ATSU Alumni Affairs Office. The Chair’s term begins at the end of the Fall meeting and ends the following year at the end of the Fall meeting. The Chair will preside at the Chapter Board meetings and shall be an ex officio member of any Chapter Board committees. The Chair shall be responsible for a clear and full statement of the business to be conducted at any regular or special meeting of the Chapter Board and shall perform the usual duties of a presiding officer, including the appointment of committees, in keeping with these Bylaws and parliamentary procedure. The Chair will also be a member of the ATSU Alumni Association Board. In the absence of the Chair, the Chair will appoint a chapter board member to represent him/her. The Chair will appoint Committee Chairs to the Financial Support, Recruitment Support, Activity Support, and Volunteer Efforts Committees. In the absence of the Chair, the Vice Chair shall preside at meetings of the Chapter Board. In the event the Chair is unable, for any reason, to complete the term of office, the Vice Chair will assume the duties of Chair until a Chair has been duly elected. The Vice Chair succeeds the Chair the following term. Voting will be done by email, standard ballot or voice. A majority vote of the Alumni Chapter Board members present is needed to pass all motions. The Chair votes only in the case of a tie. The rules contained in the current edition of Robert’s Rules of Order Newly Revised shall govern the ASHS Alumni Chapter Board in all cases to which they are applicable and in which they are not inconsistent with the by-laws of the ATSU Alumni Association and any other special rules of order the ATSU Alumni Association may adopt. In the event that an ASHS Alumni Chapter Board Member is unable to uphold his/her duties for academic, professional or personal reasons, that person shall submit a formal written resignation to the Chair of the Alumni Chapter prior to resigning. Members of the ASHS Alumni Chapter are asked to participate at least 3/4 of the meetings held during a two-year term of membership. Participation is defined as; attending a meeting, and/or discussing the past meeting minutes and agenda with the board member from the same program before the next meeting. One board member from each program must be in attendance. It is recommended that members not miss both the spring and fall meetings during the calendar year. In the event of a vacancy in the office of the Chair, the Vice-Chair shall assume the role of the Chair. In the event of vacancy in any other position, a new Board Member nomination and election shall occur at the next meeting of the board. If any Board Member misses two consecutive meetings without advance consent from the Chair of the Alumni Chapter, that Board Member will be replaced and their respective alumni chapter shall appoint a new representative. Each year, two meetings of the ASHS Alumni Chapter Board shall occur at a location determined by the University. The ATSU Alumni Affairs Office will provide administrative support at all meetings. The Alumni Chapter Board member presenting the proposed amendment shall contact the Chair of the Alumni Chapter Board or the ATSU Alumni Affairs Office so that the proposed amendment can be added to the agenda for the next meeting. The Alumni Chapter Board will receive written notice of the proposed amendment with the meeting agenda at least seven days prior to the Annual Meeting. The Alumni Chapter Board member presenting the proposed amendment shall attend the next Alumni Chapter meeting and propose the amendment both orally and in writing. The proposed amendment shall be sent to the ATSU President for approval. If approved by the President of ATSU, the proposed amendment shall be voted on during the Annual Meeting at which it is presented. The Alumni Affairs Office in consultation with the Chair of the Alumni Chapter, will appoint committee chairs to include the: Financial Support Committee, Recruitment Support Committee, Activity Support Committee, and the Volunteer Efforts. Committee Chairs are appointed on an annual basis during the spring with terms beginning at the end of the spring meeting. Please contact Alumni Affairs (alumniaffairs@atsu.edu) for more information. 6530 E. Superstition Springs Blvd. 6322 E. Superstition Springs Blvd. Operates 24 hours on a scheduled basis, with vans departing every 15 minutes from 9 a.m. to 9 p.m. Call 602.244.9000 for more information. For the telecommunications device for the deaf (TDD), please call 602.243.7786. ATSU’s University Writing Center (UWC) is a resource available to both students and faculty. The UWC has online resources covering both AMA & APA formatting, citations, references, tools for organizing a paper, and tips for writing introductions, thesis statements, conclusions, paragraphs, and more. Students are encouraged to visit the UWC website to get answers to routine AMA/APA questions and basic writing help. Faculty are also encouraged to use the website to help them as they provide feedback to students. The UWC website can be accessed in the ATSU portal at ATSU Online > ATSU Online Writing Center or signing in to Canvas. View the complete ASHS residential course listings for 2015. 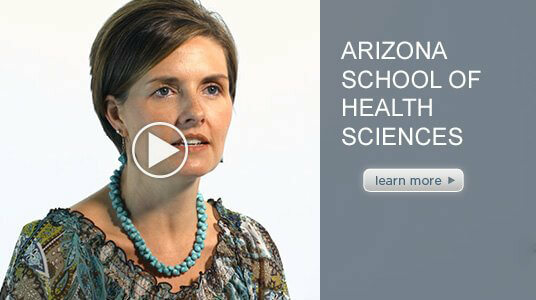 View the complete ASHS online course listings for 2015.